FOR WOMEN who want to become pregnant, it is important to foster a nurturing environment for a healthy pregnancy. Unfortunately, the stresses of our daily lives coupled with our age, genetics, environmental influences, chronic stress, lack of sleep, and poor dietary choices can make conception difficult. Dr. Mitra knows how to balance your system to create an ideal environment for a baby. With acupuncture fertility Beverly Hills, Dr. Mitra will increase blood supply to the ovaries, improve the integrity of the uterine lining, and create a more nurturing environment in order to achieve pregnancy. By regulating your hormones, Dr. Mitra can help regulate your menstrual cycle; this means you would be ovulating regularly, which in turn contributes to follicular development. She can also assist in the control of symptoms such as PMS, breast tenderness, cramping, and mood swings. FOR MEN, chronic levels of stress and anxiety along with poor nutrition often leads to a reduced percentage of sperm with proper motility, morphology, and quality. Dr. Mitra will help improve the quality of the sperm: she can improve the sperm’s motility, decrease abnormal morphology as well as increase the quantity of live sperm through a variety of treatments. I’m emailing you on the most joyous day ever, The results came back with 1/2 million sperm & 40% motility!!!!! It is a true gift; we are both in shock & can’t believe it’s true!!!! Life is amazing, thank you for being there for us throughout this journey, supporting & caring for us in the special way you do!!!!! Yahoooooooo!!!! Dr. Mitra is the absolute best! I was lucky enough to do Accupuncture sessions with her throughout my infertility struggles, pregnancy, birth of my miracle baby, post natal recovery and now as I try for my second! 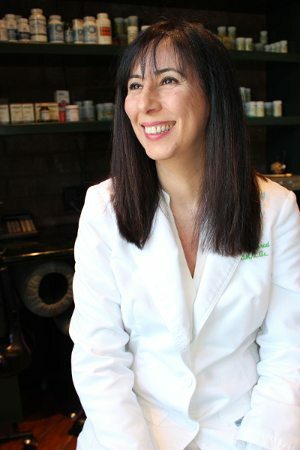 Mitra is so knowledgeable, kind and a fertility expert. She also treats any additional symptoms (emotional and physical) you are faced with each week. Truly, I believe she was integral part of my healthy pregnancy. She is very accommodating and truly cares.